Mumbai: Pakistan’s most popular band Strings has released a new album celebrating their 30 years of musical journey. And our very own Sona Mohapatra features in the first song of the album along with Faisal Kapadia and Bilal Maqsood. The song, ‘Naina’ is based on Hazrat Amir Khusro’s Ghar Naari Ganwaari. Khusro was a Sufi musician and is believed to have been a spiritual disciple of Hazrat Nizamuddin Auliya. But, this is not the first time that Sona Mohapatra has collaborated with international artists. Earlier Mohapatra had collaborated with Australian band INXS for the popular song ‘Afterglow’. While the original is sung as a qawwali, Strings gave it a more contemporary twist which is bound to soothe your ears. 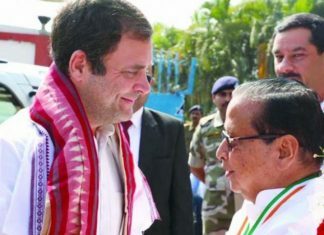 Why Rahul Visit Is A Mere Consolation For Odisha Cong?